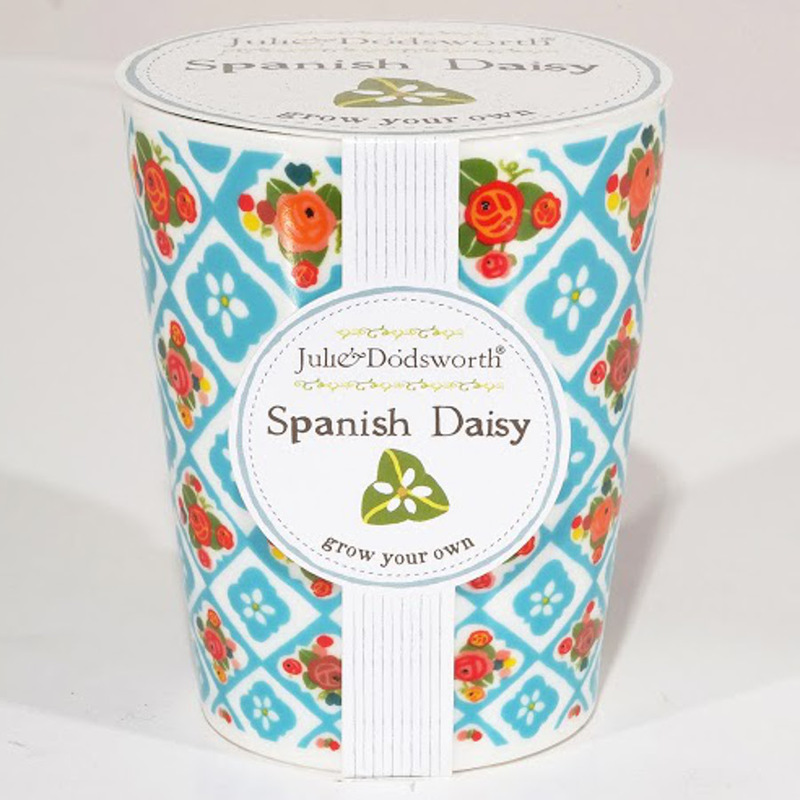 Brighten up your windowsill with home grown Spanish Daisies in a beautifully decorated ceramic planter designed by Julie Dodsworth and made in the UK. The planter comes with high quality seeds and Soil Association Certified, peat-free compost ready to be planted! There are currently no questions to display about Julie Dodsworth 'Grow Your Own' Ceramic Planter - Spanish Daisy.